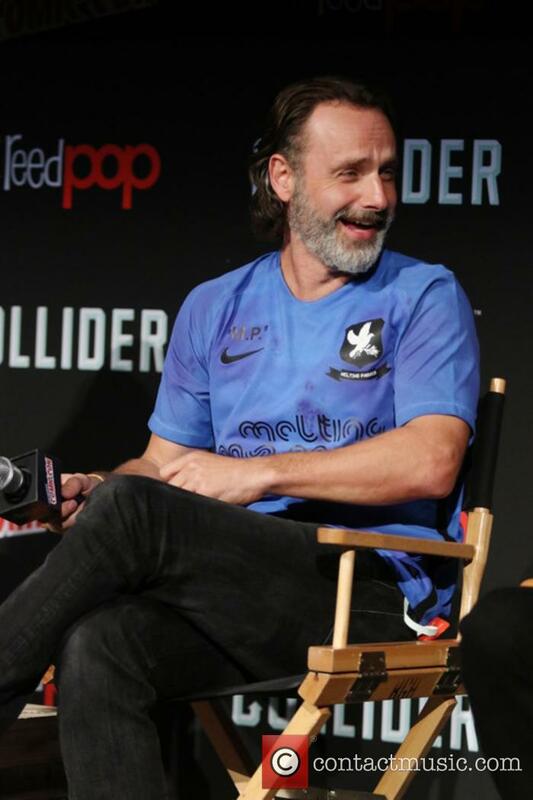 Andrew Lincoln is an English actor most notable for his portrayal as the American, Rick Grimes on the award winning television series The Walking Dead. 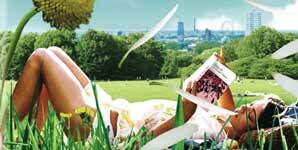 Childhood: Andrew was born in London to a South African, nurse mother and an English civil engineer father. He grew up in Hull and moved to Bath at the age of ten before obtaining a place at the prestigious, London Academy of Dramatic Arts where he changed his name to from Clutterbuck to Lincoln. Acting Career: Lincoln made his first on screen performance in Channel Four's, BAFTA award Winning, Drop the Dead Donkey, featuring on the episode titled 'Births and Deaths' aired in 1994. He continued to act in small television roles and television films including: Boston Kickout and Over Here before being cast as a permanent role on successful television series, This Life. The series won the 1998 Drama of the Year at the Royal Television Society awards. This Life ended in 1997 after airing its second series whilst Lincoln continued to act in short films and television films before being cast in crime thriller, Gangster No. 1. Lincoln played Maxie King alongside Malcolm McDowell and David Thewlis. In 2003 Lincoln made his film appearance as Mark on British hit, Love Actually. The film featured an all star cast including: Hugh Grant, Colin Firth, Rowan Atkinson, Emma Thompson, Bill Nigh, Liam Neeson, Martin Freeman and Keira Knightley. Lincoln went onto act in twenty and writes two episodes of channel four's television series, Teachers. The series was successful releasing four series between the years of 2001 - 2004. Lincoln did further television work including series and films such as: Lie with Me before co-starring in Afterlife. An award winning mystery horror series for which Lincoln won Outstanding Actor in a Drama Series at the Monte-Carlo TV Festival. Lincoln acted in more supporting and co-starring television roles before being cast in feature film Heartbreaker, a romantic comedy filmed in France. During 2010 Lincoln appeared in six episodes of the four series running Strike Back starring Philip Winchester and Sullivan Stapleton. Lincoln played Mr. Clarke in Made in Dagenham before being cast as lead role Rick Grimes in the award winning television series, The Walking Dead. Lincoln will reprise his role as Rick during series four of the Walking Dead. Personal Life: Andrew Lincoln married the daughter of musician Ian Anderson, Gael Anderson on June 10th 2006. He has two children. Andrew Lincoln has confirmed he's leaving 'The Walking Dead', but just how Rick Grimes will exit the series remains to be seen. 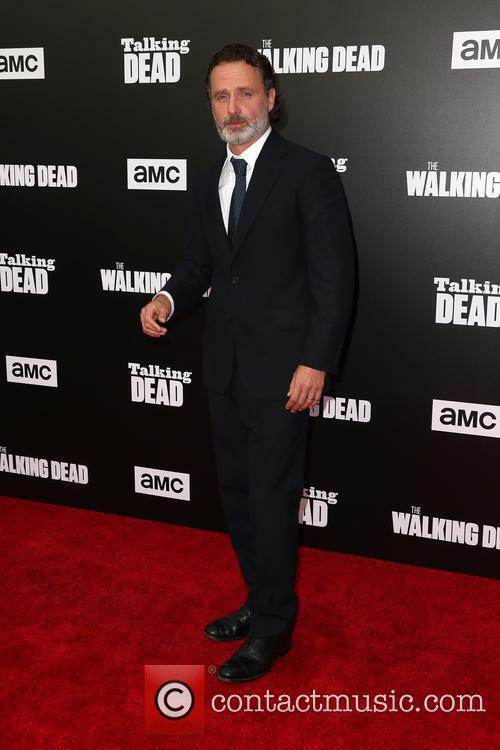 Andrew Lincoln has for many years been a huge part of AMC's 'The Walking Dead'. Based on Robert Kirkman's comic book series of the same name, the show has seen Lincoln step into the leading role of Rick Grimes; a man who woke up from a coma in the midst of a zombie apocalypse. From that point, we've seen him reunite with family, forge new friendships with fellow survivors, and face off against some of television's most dangerous villains. Now though, Grimes' story is coming to an end. We know he'll be leaving 'The Walking Dead' at some point in season 9, as it's something Lincoln confirmed this past weekend. Exactly how he'll go however is still up in the air. Andrew Lincoln's time on 'The Walking Dead' will come to an end in the show's upcoming ninth season. 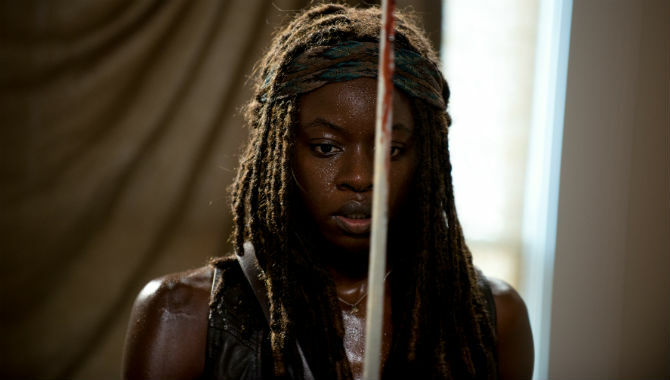 'The Walking Dead' has been going through some major changes as of late. The AMC series, based on Robert Kirkman's comic book series of the same name, has killed off some major characters, including Carl Grimes (Chandler Riggs) in the last season. The biggest shock however came after season 8 came to an end, when it was revealed Andrew Lincoln would be bowing out of the series and retiring the role of Rick Grimes. No official announcement ever came, but the news was regarded as being official after being spoken about by those who worked on the show, on social media and the like. Now though, Lincoln has broken his silence on the decision to quit. 'The Walking Dead' will lose its leading star Andrew Lincoln in season 9. 'The Walking Dead' has been going through some major changes as of late, both in front of the camera and behind-the-scenes. 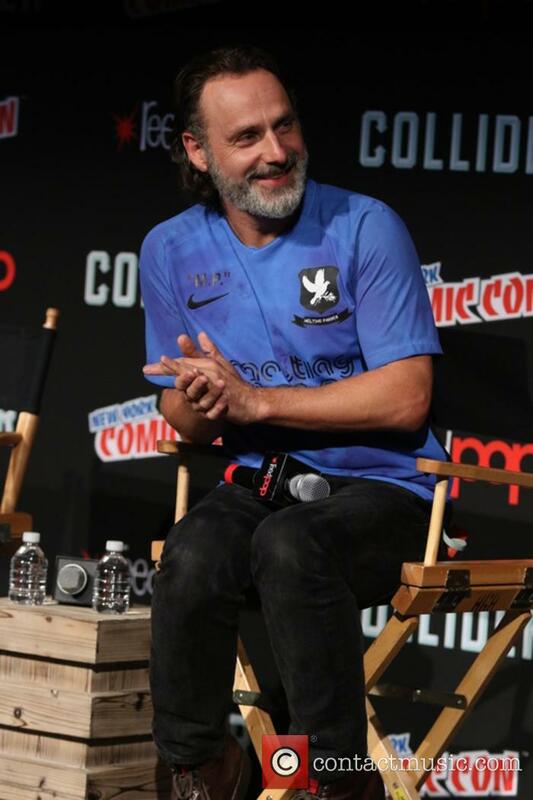 The latest news however came as a shock to all viewers, as it was revealed Andrew Lincoln would only be appearing in half of season 9, before bowing out of the series altogether and retiring from the role of Rick Grimes. Rick has for eight seasons to-date led 'The Walking Dead', bringing together a group of survivors in the zombie apocalypse and doing his all to keep them aligned. Going up against a number of different threats and villains, his most recent exchange came with Negan (Jeffrey Dean Morgan), who he finally brought to his knees in the show's eighth season finale. Andrew Lincoln will retire from the role of Rick Grimes in season 9 of 'The Walking Dead'. 'The Walking Dead' has been going through some big changes as of late. Behind-the-scenes, Angela Kang has stepped in as the series' new showrunner for season 9 and beyond. In front of the camera, we've seen Chandler Riggs' final moments in the role of Carl Grimes, as the character was killed off in some hugely emotional scenes. Then, there's been the drama surrounding Lauren Cohan's pay, with the actress now officially set to return for season 9 as Maggie Greene, but only for six episodes. With all of the dust settling around those revelations, now comes the news that Andrew Lincoln will actually be bowing out of the show, and retiring from his role as series lead Rick Grimes. It comes as a huge shock to fans, as the character has always been the one at the forefront of the drama, acting as the glue holding the group of survivors together on more than one occasion. 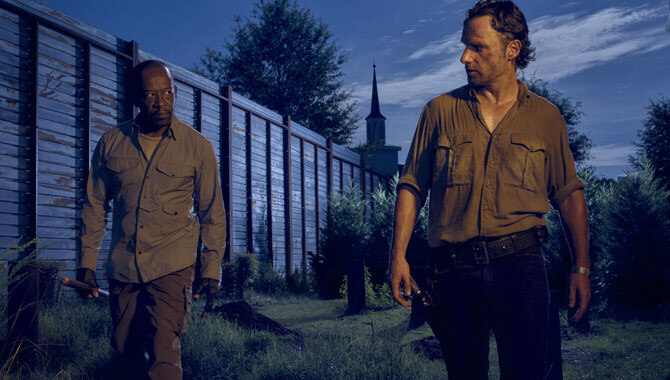 Andrew Lincoln is hopeful he'll continue to work with Lennie James on the long-running AMC zombie drama. 'The Walking Dead' will make a dramatic return this weekend to AMC in the US, before its return in the UK next Monday, and some of the storylines could be the biggest ever seen on the zombie drama series. What fans of character Morgan Jones (Lennie James) want to know however, is if he'll be a big part of 'The Walking Dead' moving forward, despite being the character to crossover to spin-off series 'Fear The Walking Dead'. When we last saw Morgan, he had decided to leave behind the group of survivors he had called friends, unhappy with the way in which they were dealing with their opponents the Saviors. Last time we saw him, he was outside The Kingdom, so could he simply be missing in action moving ahead? The actor was asked what he might be doing if he didn't play Rick Grimes on 'The Walking Dead'. Now in its eighth season, 'The Walking Dead' has become one of the most beloved shows on television. Telling the story of Rick Grimes and a group of survivors in the midst of a zombie apocalypse, the series is based on Robert Kirkman's comic book series of the same name, but has showrunners that aren't afraid to stray from the original material whenever they deem necessary. Those changes have often been met with a mixture of criticism and praise; it is true that when you have such a wide-ranging audience made up of millions from across the globe, you cannot please everybody. One thing we all know for certain however is that Rick will, at some point in the series, meet his maker. It's something Kirkman has promised for some time, but not a twist we can see happening any time soon. The series makes its return for its eighth season this October. For many, 'The Walking Dead' provides the perfect autumnal and winter viewing each year, delivering twists and turns that shock the millions of viewers that tune in as well as the faithful readers of the original comic book series. Robert Kirkman's story may still be going in the world of comic book fiction, but that doesn't mean his work wasn't given a new lease of life when AMC decided to adapt the story for the small screen. Will Morgan (Lennie James) and Rick (Andrew Lincoln) survivor season 8? Now rolling into its eighth season this October, and after losing quite a large portion of viewers through the seventh season, loyal fans could be about to see the biggest shift in tone, character development and storytelling that the series has ever gone through. The series' creator opens up a number of avenues the show could go down. Though there were many questions surrounding the San Diego Comic Con 2017-released trailer for 'The Walking Dead' season 8, nothing was quite as highly discussed as the glimpse of 'Old Man Rick' we saw at the trailer's end. Assumedly a man who has to use a cane to walk and somebody who has a bushy, big, grey beard, comic book readers were left scratching their heads as to how big of a time jump would have to take place following the events of 'All Out War'. 'The Walking Dead' Executive Producer Promises "Ton Of Action"
Fans should enjoy what the new season has to offer. Throughout the seventh season of 'The Walking Dead', viewers complained about the pace of storytelling, the grim and depressing plotlines that were being followed and the amount of action that took place. Introducing new 'Big Bad', Negan (Jeffrey Dean Morgan), Rick Grimes (Andrew Lincoln) and his fellow survivors have had to go to extreme lengths to ensure they keep a head on their shoulders, bending over backwards to keep Negan and his group of 'Saviors' happy. Now though, Rick has rallied a group to go up against Negan in a war that was widely chronicled in the 'Walking Dead' comic books from which the zombie series is based. In that forthcoming 'All Out War', plenty of casualties and chaos are set to take place, and now we've learned just a tiny bit more about what to expect. Continue reading: 'The Walking Dead' Executive Producer Promises "Ton Of Action"
The series won't follow in the footsteps of HBO's 'Game Of Thrones'. As many now know, 'The Walking Dead' TV series is based on the comic book series of the same name, written by Robert Kirkman and with hundreds of issues under its belt. Because of this, the show has a huge wealth of material to draw upon, which those working on 'The Walking Dead' often do, as well as adding their own surprises around nearly every corner. The series is not dissimilar to the likes of 'Game of Thrones' - which is based on George R.R. Martin's book series 'A Song Of Ice And Fire' - in that the material it's being drawn from hasn't hit a definitive end yet. What is different however is that 'Game Of Thrones' has now progressed past the events that have taken place in the novel series, whilst 'The Walking Dead' remains behind the comics. 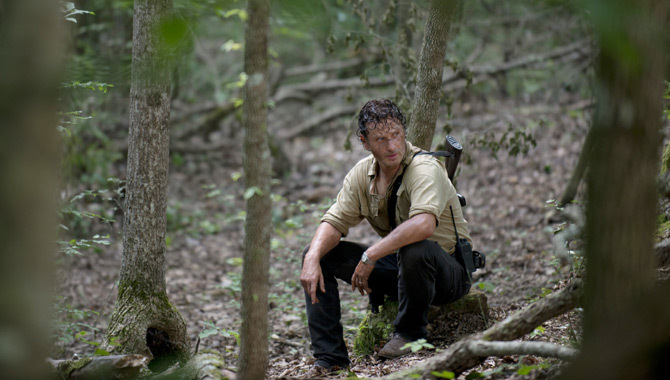 'The Walking Dead' Renewed for Season Six, But Long Can It Last? 'The Walking Dead' With No Zombies...What A Great Idea! Does Anyone Else Think 'The Walking Dead' is a Bit Rubbish Now?